Hala is the capital world of the Kree empire it resides in the galaxy of the Large Magellanic Cloud. The Large Magellanic Cloud is a real galaxy. The cloud was first seen by Persian astronomers in the 10th century. It was seen again on Magellans voyage around the world that eventually gave the galaxy its name. The galaxy looks like a large cloud, and is the third galaxy away from our galaxy the Milky Way. The Kree Empire stretches across the entire Magellanic Cloud making it absolutely HUGE. To put in perspective humans only occupy one planet in our solar system one of many systems within our galaxy. Our galaxy the Milky Way is 30% inhabited by an alien race called the Badoon in the Marvel Universe. To sum up the Kree have a much larger population and power base than do humans. Hala is not a real planet (At least as far as I know) it is the primary and capital world of the large Kree empire. Hala is larger than earth with greater gravitational pull. The air of Hala has a higher percentage of nitrogen than Earth. This is why Kree require a chemical breathing apparatus to feed them nitrogen when on Earth. There is not a ton of artwork available on Hala but it generally looks like an ecumenopolis (city world) similar to the planet Coruscant in Starwars though perhaps more beautiful. Add a bit of an Elfy / Riverdale look to Coruscant and the result is similar to the look of Hala. Hala is also home to the dictator of the Kree Empire the Supreme Intelligence (Supremor). The Supreme Intelligence is an artificially created super mind that combined a supercomputer with the greatest past minds of the Kree empire. It was initially designed as a tool to be used by Kree leaders but eventually it wrested control and become the final authority on governance of the Empire. 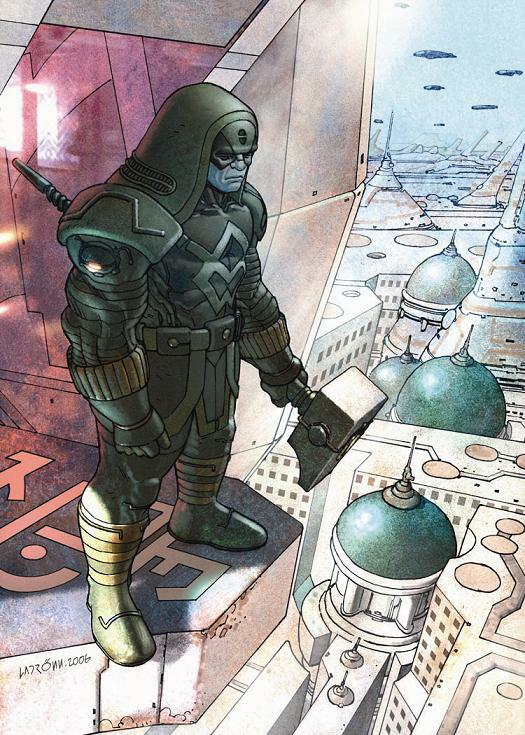 When Ronan wrests control of the Kree Empire away from the Supreme Intelligence he rules from the planet Hala. Deathbird also rules from Hala. The Cotati are no long on Hala they were wiped out by the Kree after the Cotati won a contest held by the Skrulls. The Kree do not like to lose. This is event is outlined in the postings on the Kree and the Skrulls. Captain Marvel (Mar Vell) - Was born on the planet Hala.